Time is precious, so having to spend hours a week in the gym is not a luxury many of us have and for some of us it isn’t even a luxury at all…it’s a chore. If we all had the option to get our exercise done as quickly as possible then it would prove a popular decision. If you are one of those individuals that does not have time to spend over an hour in the gym every day, or just don’t want to then these quick fat burning exercises will help you drop body fat without eating in to your valuable time. 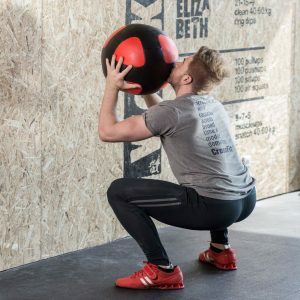 When it comes to fat loss, we have to expend more calories than we consume, and by targeting big muscle groups in the body and performing full body movement we can do just that. Combine this with a calorie controlled diet and you will start to see the difference you’ve been wanting with your body. 4. Travelling push ups- Start in push up position perform push up then move body laterally and perform again. 1. V sit up- Lie flat on the floor with your arms extended behind you and your legs also extended out in front of you, slightly off the floor. Bending from your hips lift your legs straight up without bending knees and bring your arms to meet your legs, return to start position. 4. Laying down leg raises- Lay flat on your back with your legs straight. Raise your feet 6 inches off the floor. Keeping shoulders in contact with the floor raise your legs 90 degrees and return to start position. 2. Jumping jacks- Simultaneously moving feet outwards and back in again while arms are moving above your head and back down again on each rep.
3. Mountain Climbers- Sprinting on the spot bringing knees above hips with each stride at the same time reaching as high as you can above your head alternating each arm with each stride. 4. Rope jumps- Skipping for 30 seconds using skipping rope. As with anything in life the more consistent you are and the more you do something the better you get. Exercising to become fitter and healthier is no different. It is important to stick with a plan and always work as hard as you can during these sessions. By doing this you will become more confident and will feel better about yourself and the way you feel about exercise. Throughout an exercise plan it is always important to remain patient. Too many people give up after as little as a week just because they think they are not progressing. On average, it takes between 4-12 weeks to start to see a major difference in regards to fat loss. So just keep going! The Difference Between Activity, Exercise and Training.